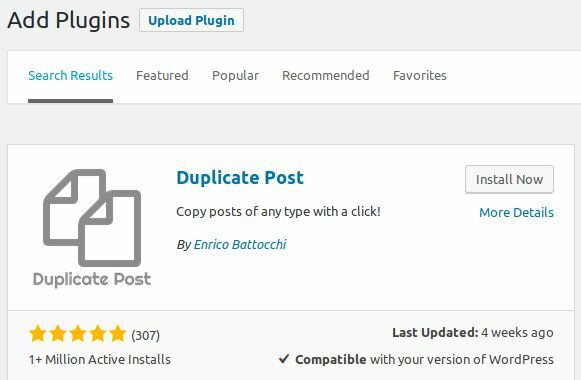 Duplicate Post is a free WordPress plugin from Enrico Battocchi. Using this wordpress plugin you can easily Duplicate or clone any type of wordpress posts and automatically copy them to new drafts.Using its template tag, you can duplicate or clone your posts and pages from the front-end also. Type Duplicate Post in the search field and press the enter key. Click the Install Now button in Duplicate Post. After the successfully Installation click the activate plug-in link to activate the Duplicate Post wordpress plugin. 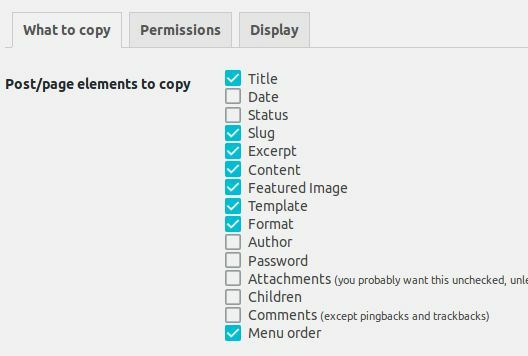 Then go to Settings sidebar menu in the WordPress dashboard and select the Duplicate Post menu option to configure this plugin. Here you can set what elements to copy like Title, Date, Status, Slug, Excerpt, Content, Featured Image, Template, Format, Author, Password, Attachments, Children, Comments and Menu order. You can also add title prefix. You can also configure allowed user roles and allowed post types. 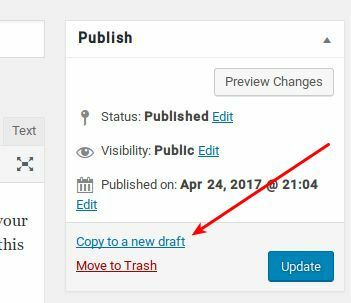 To use it just edit any post, Under the Publish section click the Copy to a new draft link. This will create a copy of your your current edit post.